Fenugreek Seed For export from India. 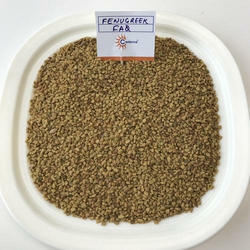 We are leading manufacturer and exporter of Fenugreek Seeds. 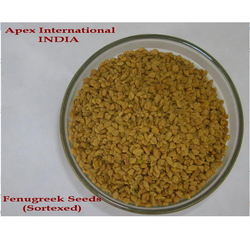 We can offer 99% Sortex Machine cleaned Fenugreek seeds at a reasonable price regularly. We can pack according to your requirements. In order to cater to the numerous necessities of the patrons, we have been able to provide a wide range of Fenugreek Seed Indian Origin. We are supplier and distributors of Single Herb Methi (Fenugreek). You can contact us for purchasing this product in bulk or you can contact us for buying this product in retail. We are devoted towards offering the qualitative range of Fenugreek Seeds, as per client’s precise need and requirements. Being a customer oriented organization, we are deeply engaged in offering a wide array of Fenugreek Seeds. We are offering Liferr Methi Fenugreek 250 Grams to our client.